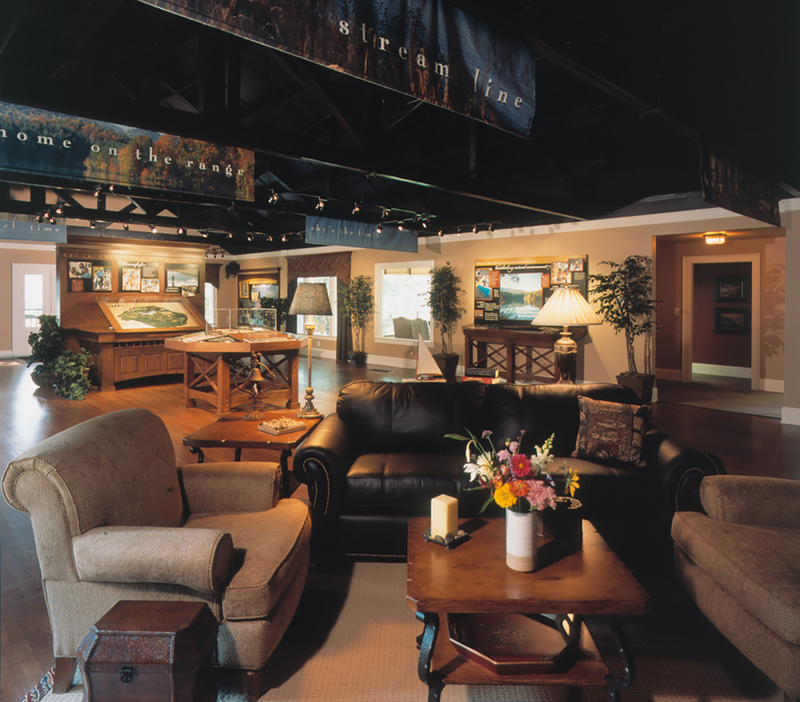 Biltmore Lake Sale Information Center - Marketing Specifics, Inc. 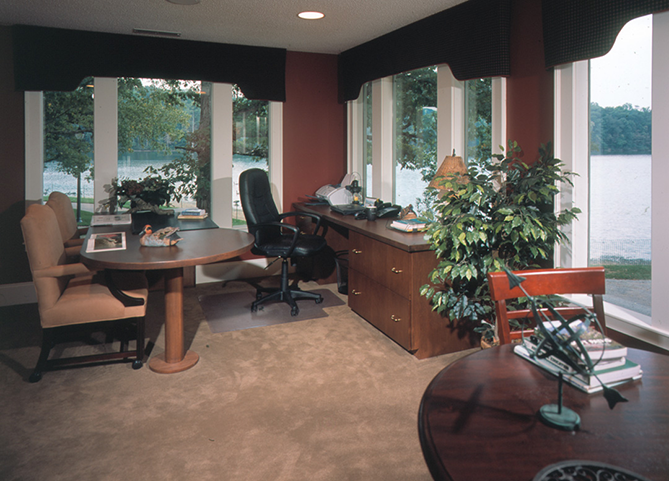 The Biltmore Lake community offers residents elegant simplicity in their home styles. The styles are rich in authentic detail, function, and beauty and each home reflects an appreciation for natural materials crafted with both old-fashioned workmanship and modern techniques.The result is a living environment in complete harmony with its natural surroundings. 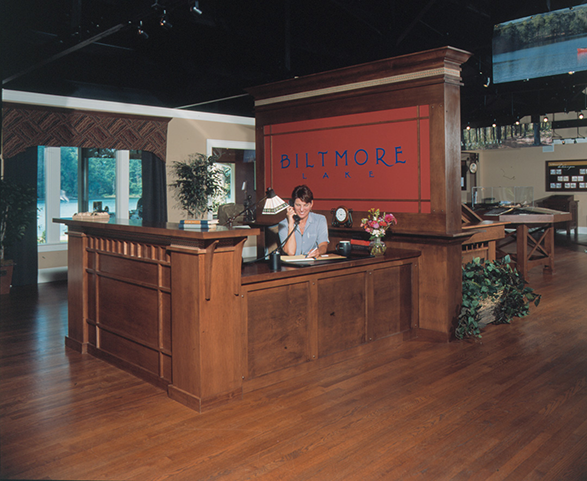 Harmony is the feeling one gets when stepping into the Sales and Information Center at Biltmore Lake. The environment was designed with the same elements as the community – natural in feel, yet elegant and warm. We designed the Sales Center with large, stained pieces of display cabinetry, including a reception desk housing the site table on the backside. Kiosks and displays have also been designed to showcase the homes settled in nature and amenities offered at Biltmore Lake. The setting at the Biltmore Lake Club, with a central, lakefront destination, is ideal for relaxation, recreation, family reunions, and a place to meet your neighbors. There’s a warm fireplace, game tables, quiet areas for reading, together with a magnificent outside porch for a spectacular view.